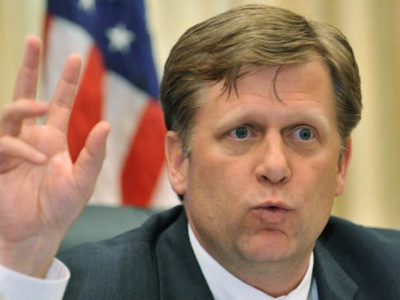 Russian political experts say appointing Michael McFaul as ambassador to Moscow was clearly not the best choice of the US administration, but it is still too early to expect overt pressure and support of destabilizing forces from the diplomat’s side. 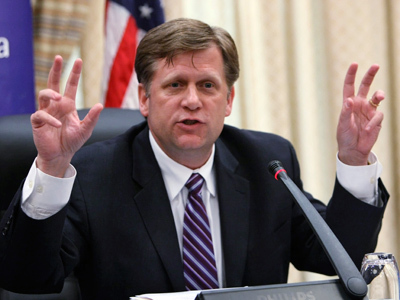 ­The head of the Russian Institute of Strategic Assessments, Sergey Oznobishchev, told RIA Novosti that McFaul was not the best figure to represent the US interests, as the attitude to him in Russia was at worst restrained, and at best negative. The analyst added that regardless of the objectives that lie behind the State Department’s decision the appointment can be seen as a sign of the US side’s unhappiness with the state of relations with Russia. “It is clear that many things that could be easily achieved with some other ambassador will be made difficult with this one,” Oznobishchev added. On the other hand, the head of the International Institute of Political Expertise, Evgeny Minchenko, said that McFaul’s appointment testified to the fact that the US side paid special attention to relations with Russia at the present moment. He said that McFaul had worked in Moscow for a long time, personally knows many experts and politicians, and demonstrates very good knowledge of the international political situation. Minchenko added that it was highly unlikely that the new ambassador would try to organize some sort of an “Orange Revolution” in Russia. “If this was so, we would have scandals for a long time already, but so far there is nothing of this sort,” the analyst said. Minchenko added that President Barack Obama’s administration cannot start criticizing Russia at the moment as this would mean that the whole previous course of the so-called “reset” was wrong and it cannot be allowed in an elections year, and in the face of sharp criticism from the Republican Party. 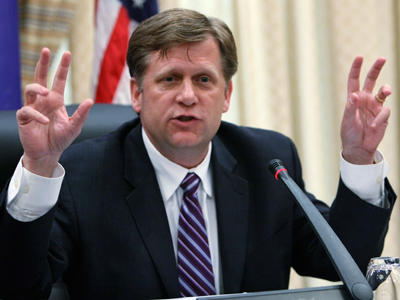 Michael McFaul was sworn in on January 11 and will officially start working on his post on January 14. At the swearing-in ceremony, Secretary of State Hillary Clinton described the relationship with Russia as “the most complex and consequential” the US has with any nation in the world. 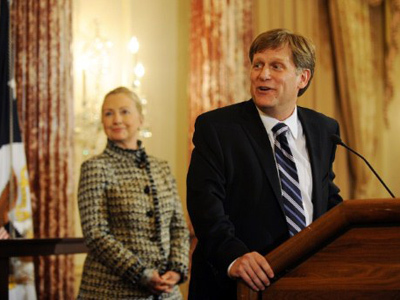 Prior to his nomination, McFaul was Senior Director for the White House National Security Staff on Russia and Eurasia Affairs. He is considered one of the architects of the “reset” in Russian-US relations.